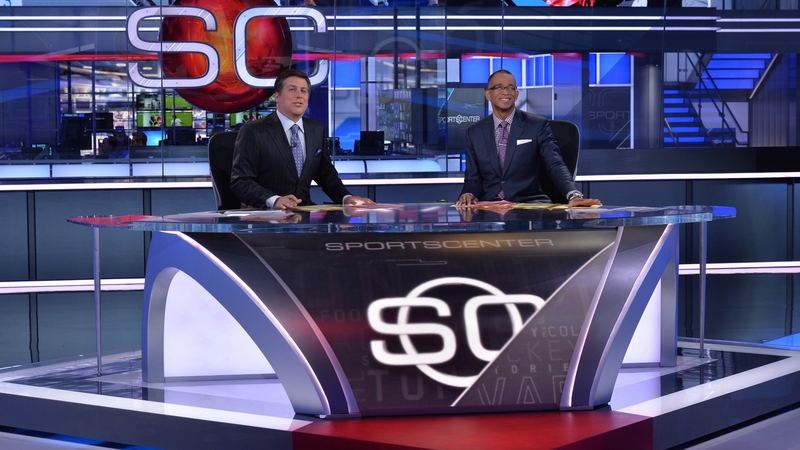 ESPN’s flagship show has long set the bar for televised sports design and requires an extensive set of tactical assets to accommodate the behemoth broadcast. 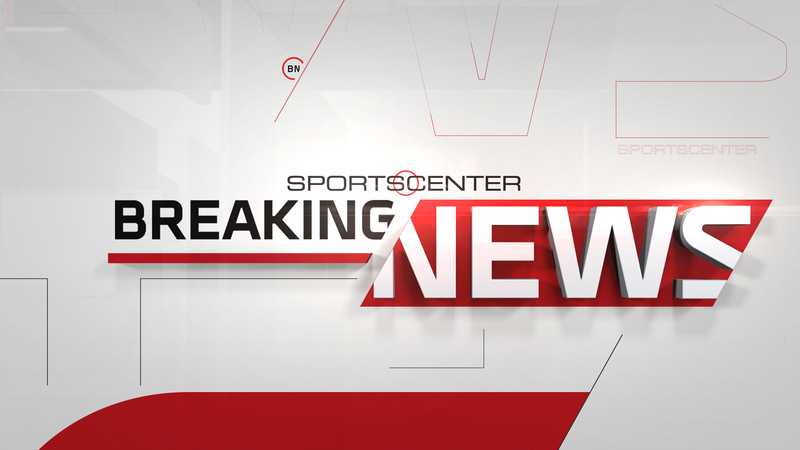 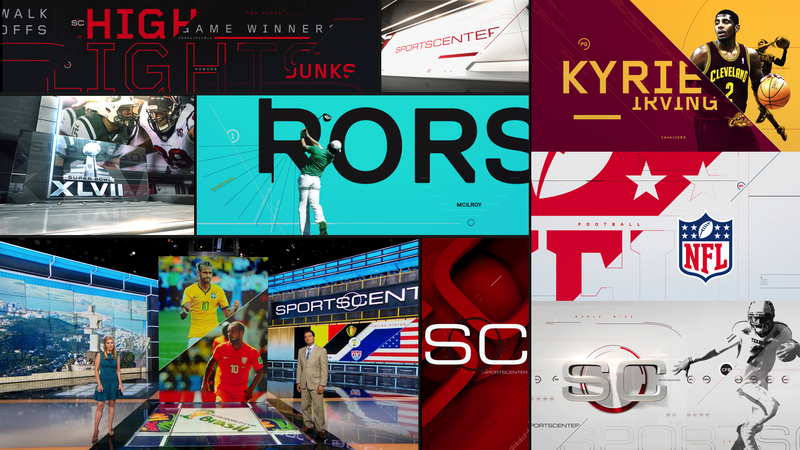 It was our third sequential redesign for SportsCenter spanning over a decade that continued to position ESPN as the worldwide leader in sports by pushing the vocabulary of broadcast sports design. 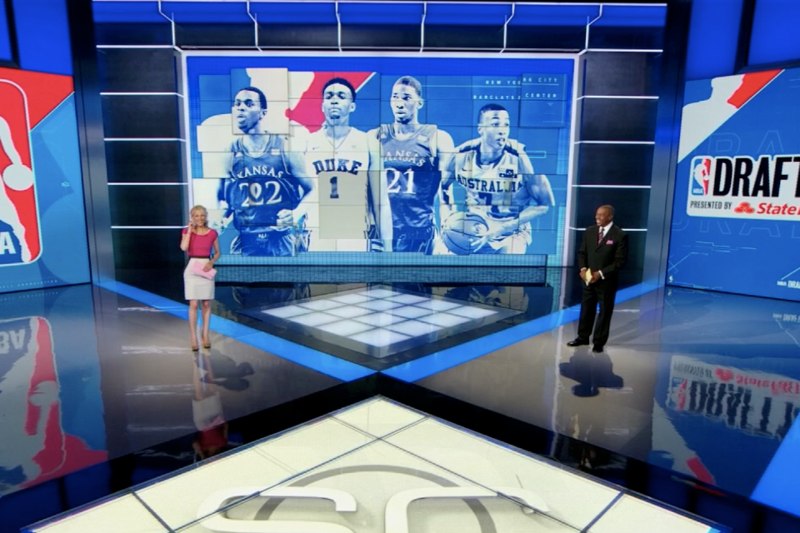 Consisting of 1,000 deliverables and requiring one full year of implementation at ESPN, the new design featured a content-first showcase and innovative information graphics for an optimal fan experience. 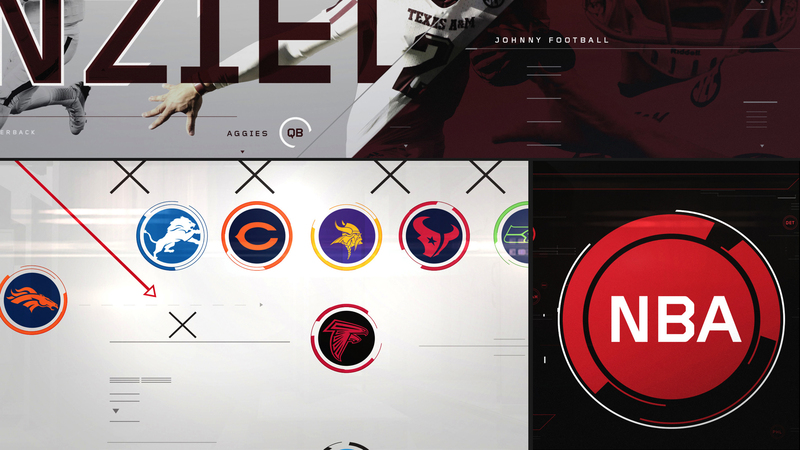 A pioneering SC “Digital Skin” toolkit plays an exciting evolutionary role in the design theory of the package bringing unique line work and authentic textures definitive of each sport together, while also providing a range of customization possibilities. 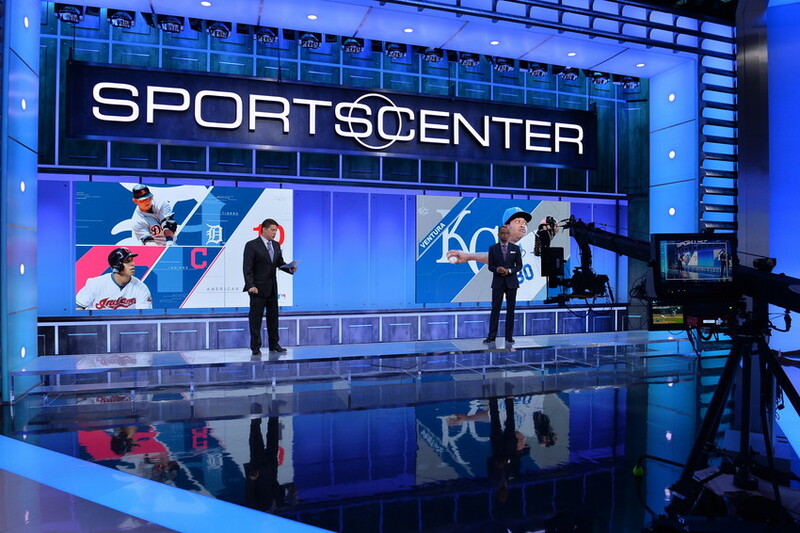 SportsCenter signature circle elements provide a branded storytelling device that is utilized throughout the canvases, environments and franchises as quick identifier of teams, players and leagues. 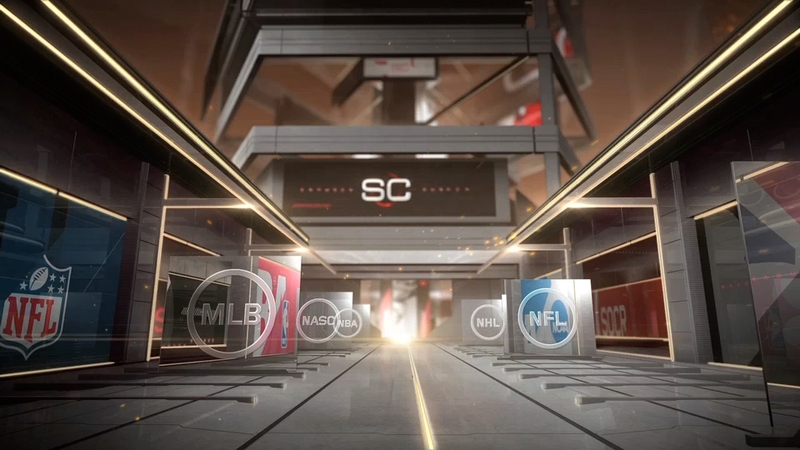 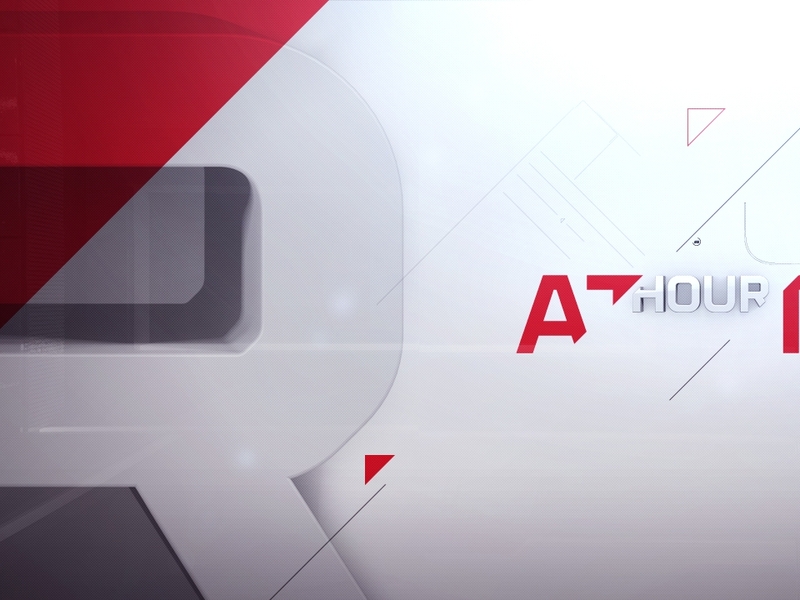 Our expansive and innovative environments were designed not only to generate a sense of scale and movement, but they greatly amped up the overall energy to create a new definitive storytelling component to SportsCenter. 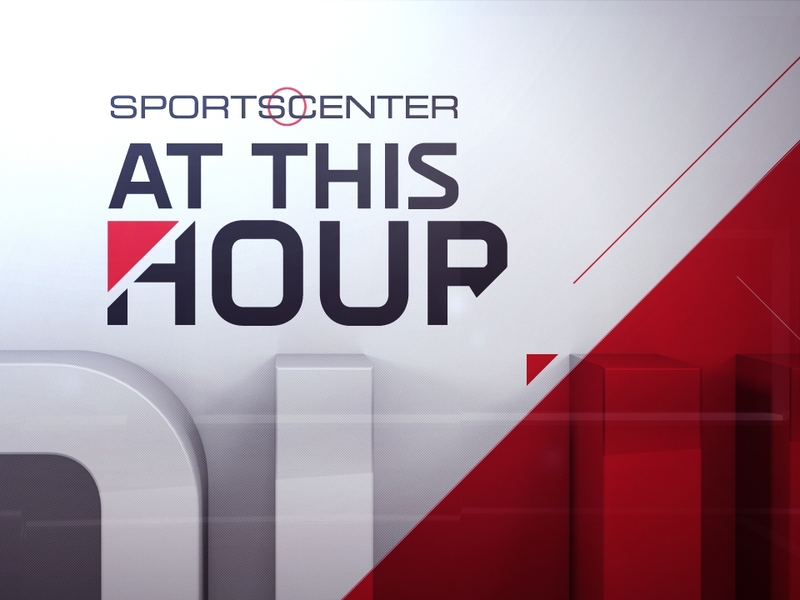 This collective gallery of excitement generates a custom experience by changing out textures or infusing new architecture to define a specific sport. 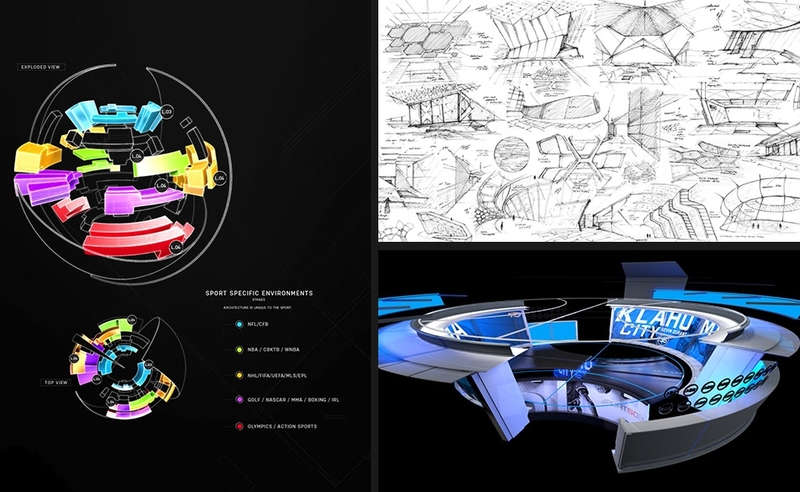 The robust and versatile toolkits served to support future design thinking, internal implementation and an expandable foundation for years to come.